Team building can be an overused cliche in business circles, but there is something truly magical about what a cohesive team can create together. Individuals working alone are able to contribute specific tasks towards a goal, but a team working together adds energy and power to push their achievements higher. This is one of the reasons there are so many books and manuals focused on building effective teams. If you have never seen this in action you may not believe the synergy that can be attained -- it is almost like a force of nature. 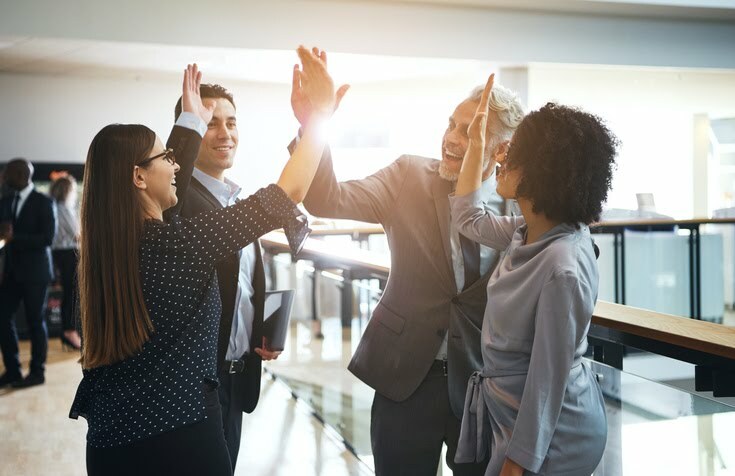 See how building effective teams will maximize employee productivity and happiness as well as helping you retain your hardest workers. A Gallup article from a few years ago stated that up to 70% of employees are showing up to work disengaged, costing the American economy billions of dollars every year in lost productivity. When you find ways for these individuals to connect to one another, they become invested in seeing each other become successful. Engaged, enthusiastic employees are ones who are constantly looking for ways to innovate and exceed expectations. If you could move the needle on even 20% of your mediocre performers, the impact to your bottom line would be significant. The age-old saying that 'two heads are better than one' is extremely valid in today's business world. The complexity of ideas and interconnectedness of our systems means that it is difficult for any one person to have the knowledge needed to innovate and excel. Bringing together your team in a safe space allows for the free flowing of ideas between members -- and the ability to synthesize these great ideas into something actionable for leadership. Where one person working alone may be worried about going down a specific -- and potentially risky -- path, a cohesive team has the bravery to take the leap. These leaps are what drive lasting change in an organization. Without this shared risk-taking and an ability to literally blow through restraints, your business can become stuck in the rut of doing things the way they've always been done. Let's face it, everyone wants to be a part of a winning team. When you see one team that seems to get all the awards, recognition and respect, you want to see what makes them special. Many times, it's their ability to work effectively together and collaborate to achieve a shared vision and goals. When one team in your organization is able to attain this level of cohesiveness, it will inspire and motivate others to do the same. This breeds a more positive working environment for all. When work ceases to be work and becomes something that you enjoy doing during the day, you are able to devote your heart more fully to the tasks at hand. This joyful passion shines through in everything that you do. Ineffective teams can cause this light to dim, but having fun together can create a bond where individuals connect at a deeper level. There are so many ways that effective teams create a sum that is greater than the individual parts. When the team truly works together as a single unit, the strengths of each person are multiplied allowing for an oversized impact on your organization's effectiveness. Bring your teams together if you want to truly supercharge your business!